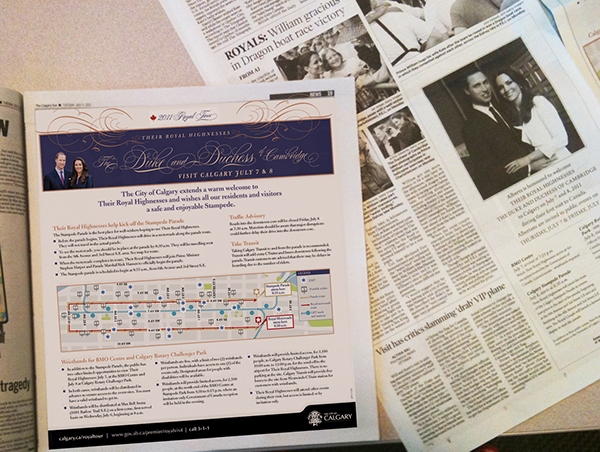 Various collateral for the arrival of The Royal couple: Maps, advertisements, leader boards, flash animations. Public service announcements, wristband information, security and accessibility maps, big box and leaderboard ads. 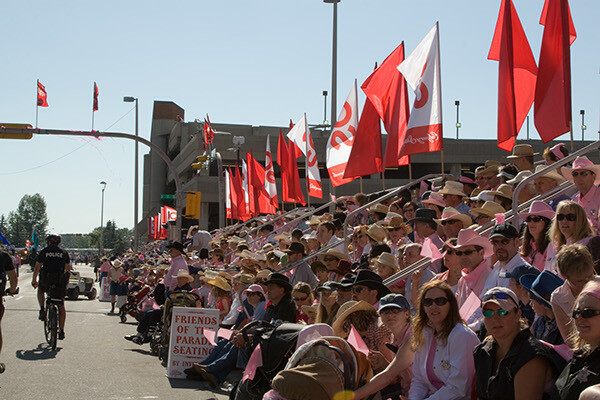 Designed for The City of Calgary. 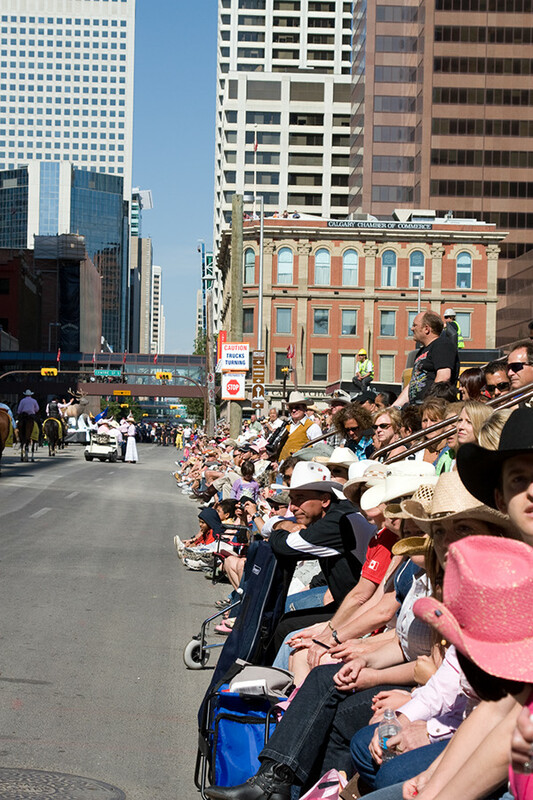 William and Catherine, The Duke and Duchess of Cambridge, exchanged their royal attire for plaid shirts, blue jeans and cowboy boots when visiting Calgary during Stampede on July 7th and 8th. In order to prepare for this visit, Creative Services needed to create advertisements, announcements, and maps with content and approvals changing by the hour. 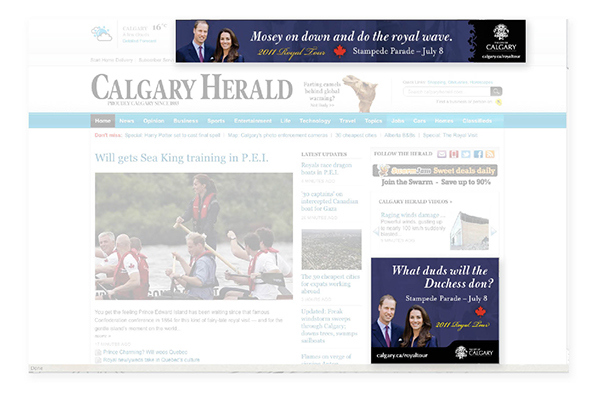 Fun, attention grabbing headlines were used to draw people into the royal ads to find out where the best spot to see Will and Kate. 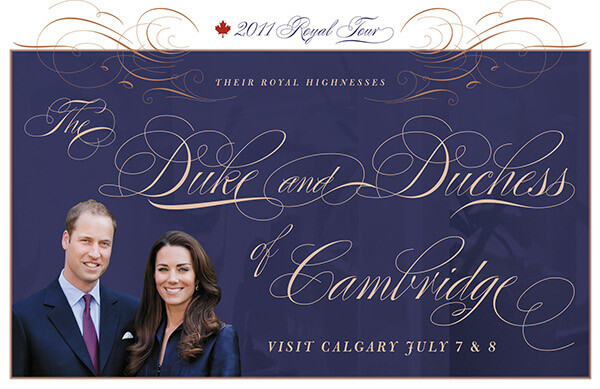 Purple was used to signify royalty, and a over-the-top script font was used to celebrate the formality and regalness of the event. The click through rate on this campaign was the highest of all the campaigns in 2011, showing a great return for citizens being provided with up-to date knowledge of where to be.